"The month of January found many of our aircraft and crews scattered throughout the II Corps area flying with our sister companies and with "Dust Off". Some of the places where a Bite and Striker could be found were; Nha Trang, Qui Nhon, Tuy Hoa, Bong Song, and Dong Ba Thin. The purpose of this was to give the pilots and crews some combat experience while flying with experienced units. As a result we got to see a lot of the II Corps area and did some wide and varied flying. Most of the unit action took place around Tuy Hoa, RVN, though, as this was where the operations took place that we participated in. Major Robert Stearns joined us on tile second of January as our CO. Major Stearns led us on our first combat assault when we went to Tuy Hoa in support of the 2D Republic of Korea Marine Brigade during operation Jefferson. Everything went smoothly and the company conducted itself admirably on its first operation. We flew a total of 3,147 hours carrying 10,481 troops and 9,275 tons of cargo in 9,489 sorties. On 11 January Bulldog 536 became the first aircraft to be hit by enemy fire when it was struck by one round on a flight from Nha Trang to Tuy Hoa. The crew didn't even realize it until a post-flight by the crew chief brought it to light! It was a first for the company though and much ado was made over it. During the third week in January, six of our Slicks along with three Gunships joined forces with the 48th Assault Helicopter Company in support of the 1st Brigade, 101st Airborne Division at Tuy Hoa. In that week tie flew a total of 14 combat assaults and logged over 200 hours. We carried 1100 troops and quite a bit of cargo in 2000 sorties. Nothing really exciting occurred. The end of the month found the company still scattered with some crews at Qui Nhon working for Dust Off and the Koreans, some at Nha Trang flying VIP missions for I Field Force Victor and some event went up to Bong Song to see the First Cav in action for a few days. All in all, everybody was getting into the swing of things and gaining much in the way of combat proficiency. All the aviators together averaged 68 hours per month with Captain John Boysen being the high man for the month with 130 hours. With all the various places, the crews had been, naturally there were quite a few war stories to be told over a cold beer. The month of February was a busy month for the company and one in which the company was called together to operate as a unit. Many new experiences were had by the crews this second month of combat operation. Most of the month was spent in support of the 101st while they were trying to protect the rice crop of the Tuy Hoa Valley from getting into the hands of the Viet Cong. The company recorded another first for itself on the third of February when it lost it's first aircraft. Cobra 937 crashed and was destroyed while providing gun support during a skirmish between AHVN Regional Forces and the Viet Cong. No injuries were sustained by the crew, however they had a nice five hour walk out of the jungle before they could be picked up by a waiting helicopter. The crew was pretty happy about the whole experience as they were able to walk away unscratched and had a wild war story to relate that night. On 9 February all the aircraft from Qui Nhon returned to Dong Ba Thin and joined the rest of the company in a move to Tuy Hoa. This was Destined to be our second home for quite a while. The other crews and aircraft filtered back to Tuy Hoa about this time too. We were to support elements of the 101st ABN DIV, 2D ROK Marine Brigade, and the 47th Infantry Regiment ARVN. We shared these duties with the 117th and 48th Assault Helicopter Companies. The third week in February the Cobras became fully initiated when they received credit for their first Viet Cong killed by air. Needless to say much commotion was made of this by our "Vicious" Cobras. On the 24th of February we teamed up with the 48th, 117th, and 155th Assault Helicopter Companies to conduct a battalion sized demonstration and airlift. We provided the mission commander for this and things went very smoothly. It was quite an impressive sight with all the helicopters in the air at one time. The afternoon of 27 February, WO-1 Newhouse, flying in Bulldog 508, became our first combat injured pilot when he was wounded in the right leg while on a resupply mission for the 101st northwest of Tuy Hoa. The aircraft was flown home safely by the co-pilot and Mr. Newhouse was evacuated to the states. He was the first crew member to be injured in both the company and the newly created 10th Combat Aviation Battalion. The month of February was indeed an exciting one and one that gave the company an insight to what was ahead for an airmobile company such as us serving in Vietnam. Everybody in the company was fully initiated and all were becoming "Combat Experienced Veterans". All told the company flew 3,452 hours accomplishing 5,391 tasks in 9,226 sorties. A total of 11,297 troops were carried as well as 9,143 tons of cargo. The company remained as a unit at Tuy Hoa during the entire month of March. During this time the company received it's first replacements fresh from the states in the form of three new aviators and an experienced Major. Much to the chagrin of the new aviators, the old-timers constantly reminded them of the long time they had left before DEROS. The saying that month was: "If I had that long to do I would shoot myself"! In addition to the normal days missions, some of the lucky crews would make a trip to the US Navy Destroyer off the coast of Tuy Hoa for a little rest and ice cream. It provided a welcome break in the month for many. The month started out fast and furious with an extraction of elements of the 101st on 4 March On the last lift out, the Bulldogs received a hail of automatic weapons fire. Three of the aircraft were hit with one round just missing a pilot's head and striking crew chief Staff Sergeant Sanford in the neck. He was the only one injured and lie was evacuated to Nha Trang. He later joined the unit in good health. On 6 March another three aircraft were hit by ground fire. The company was conducting a combat assault with the 101st when these hits occurred. Door gunner PFC Deloe was wounded in the hand slightly, but returned to duty the next day. It looked like it would be an interesting month! And it was! On 13 March, the company along with the 48th and 117th Assault Helicopter Companies made a battalion sized night combat assault in support of the 101st. This was the first night combat assault of this magnitude to be conducted in country. The landing zone time was at 0140 local and black out approaches were made to two flashlights held in the landing zone by the Pathfinders who were inserted at dusk. The landing zone was located in a series of rice paddies and was surrounded by a series of low hills. Aside from some nerve racking moments such as when the outgoing flight passed right through the incoming flight at the same altitude, the evening proceeded rather smoothly and successfully. Many a man breathed a sigh of relief when the night was over! Major Burnett Saunders, who recorded the event in the company journal, described the flight as an extremely "Hairy" one and the best birthday present he got that day was to get safely on the ground. Combat assaults were almost a daily occurrence in the remaining days of the month as we continued our support of the ground units. In addition we became involved in a series of Long Range Reconnaissance Patrols (LRRP) insertions and extractions. CWO George Dent and W0 Ronald Griggs had their team surrounded by 17 Viet Cong and called for an immediate extraction. Their slick, escorted by the Cobras, made a successful extraction under fire. The Cobras were given credit for 12 Viet Cong KBA as they poured deadly rocket and machinegun fire into a group advancing Viet Gong. The LRRP team was extremely happy with our crews and their fine job of getting them out of a tight situation. Towards the end of the month, two "Dust off" aircraft were downed in the Vung Ro Pass, just south of Tuy Hoa. Within twenty minutes of getting the word, we had lifted a security platoon into the crash site. Later on more elements were lifted into the area as a real fire-fight developed. We had one aircraft hit during the mission, but nobody was injured, just scared as usual! The last day in March, Major Ronald Merritt's LRRP team came under fire shortly after being inserted at dusk. They called for an extraction and Major Merritt and co-pilot Ron Griggs, along with three of the Cobras made a night extraction, Major Merritt having to land to burning C-4 while under fire. The Cobras provided excellent fire support as usual, getting credit for a machine gun nest when their rockets literally tore it apart. Again the LRRP's expressed their gratitude for our competent and brave pilots and crews for getting them out of another tight spot. So the month of March ended with the company still at Tuy Hoa helping protect the rice harvest. In addition to the unusual incidents recorded above, the company continued it's outstanding aviation support to the ground units by bringing hot chow, ammunition, mail and other necessities to them. It was a full and busy month for the company and the four new replacements got in some good first hand combat flying. The month of March started off with a bang, but fortunately it ended quite quiet. It was the month of Lt. George Becketts, one of four new replacements, bad luck, and for a while it looked like the company would suffer this month too. But it all ended well. On the 3rd of April, another LRRP team was in trouble and called for extraction. Major Merritt, who happened to be at Dong Tre taking a lunch break, was requested to make the extraction. Since the patrol was widely separated, and was in a pretty confined area, one man was left in the landing zone. However, Bulldog 749, piloted by Lt. Beckett and WO Ron Griggs was circling over head and went in to make the pick up. A stray shot from the Viet Cong struck their tail rotor and the aircraft spun and crashed. Nobody was hurt, but now there were five people on the ground. A Cobra, covering the extraction emptied the remainder of his ammunition in a hurry on the suspected Viet Cong position, jettisoned his rocket pods, and went in to pick them up. It was done successfully and everyone was gotten out safely. The next day we had a combat assault into a real confined area, and Lt. Beckett's ship fell through on approached and turned over. Again nobody was injured. After this Lt. Beckett was given the day off to regroup! 6 April found Lt. Beckett back in the seat again, this time sitting in a landing zone waiting for a battalion commander to finish his business, when a snipers bullet struck him in the arm. Necessitating his evacuation back to the states, Thus ended Lt. Beckett's short thirty day tour with the company. One of the Cobra gunners, SP4 Alfred Hough was wounded in the right hand on a firing pass, but continued firing with one hand knocking a VC out of a tree. Things were getting pretty hot around Dong Tre. The Seventh of April started out quiet, but ended up as "Bad Day at Black Rock" for the 2nd platoon. Four slicks and 2 guns were eating lunch at Dong Tre while on a reaction force mission when they were called out. The infantry had "Charlie" on the run and wanted to set up blocking positions. After a artillery prep, air strike and gun ship prep the slicks where called in. The first lift was cold, but on the second lift the Viet Cong opened up with 3 automatic weapons shooting down Bulldog 508. WO Marvin Hardison was hit in the leg and WO Ron Griggs hurt his neck. Both were evacuated back to the states. All other three aircraft were hit at least twice. Then as Bulldon 748 piloted by Captain Phil Saunders and WO Carl. Doherty attempted to land to pick up the crew of the downed aircraft it was raked by machine gun fire from nose to tail (24 holes) and Cpt. Saunders and the crew-chief were both wounded but were eventually returned to duty. The aircraft lost its hydraulics and was flown to Tuy Hoa by W0 Doherty. Three hours later after the infantry had taken the hill and wiped out the machine guns, the remaining crew of 508 was picked up. Thus ended a very trying day! On the 8th of April, the second platoon moved to Dong Ba Thin and on the 9th they were moved to Nha Trang where they provided 4 "0" models and 1 "B" model for IFFV. The 1st platoon and the remaining guns stayed at Tuy Hoa playing musical chairs as they moved from one side of the runway to the other. The following statistical data is compiled from operations conducted at Tuy Hoa, RVN, from 11 February 1966 to 9 April 1966. The month of May was rather uneventful for the Bulldogs, as they continued to support IFFV at Nha Trang, and the ROK's, and a Battalion of the 101st at Tuy Hoa. We received four new replacements this month who were surely needed. The Cobras however had an outstanding month conducting fire missions against' the Viet Cong. The company did manage to get together as a unit for several combat assaults with the 45th ROK Marines during the period 6 May to 13 May. CW0 "Hoot" Gibson and Specialist Quiambo were both slightly wounded on a gun run in 9 May, both were returned to duty the same day. On the 10th during a CA with the ROK's, a slick crew chief was credited. with 2 VC kills and the Cobras got four kills when a rocket exploded amidst them. None of the aircraft were hit by fire. On the 13th of May, the Cobras had a fine day working with Head hunter, and on 3 different missions they were credited with 9 VC kills and 29 buildings destroyed. One of the Nha Trang slicks was hit by a sniper on the 15th during a road recon through Vung Ro Bay and a passenger, L/Col Ernest Lane, 39th Engineer Battalion was fatally wounded in the stomach. The Post-at Vung Ro subsequently was named in his honor. Our Cobras were active again, destroying 70 buildings. A night medical evacuation was also made. The 18th was another busy day for the Cobras as they were credited with 10 VC killed by body count, and another 29 VC estimated killed. They also destroyed 14 buildings. This action took place in the morning while our Bulldogs extracted two Hawk teams of the 101st who were under fire. The rest of the month was spent conducting daily platoon combat assaults and resupply missions at Tuy Hoa. There was no battalion operations at Tuy Hoa so the infantry coordinated with the company direct. No difficulties were encountered along this line as we continued to support them in our usual Bite & Strike manner. The 4 slicks of the 2nd platoon continued to provide VIP transportation for IFFV at Nha Trang and the pilots and crew really got a chance to tour II Corps area as they flew to every area where American troops were operating from. During the month we also received six aviators from the 1st Cav as they started their infusion program. After arriving with the Bite Strike "Gypsies" they couldn't make up their mind whether or not to be happy with their new home. 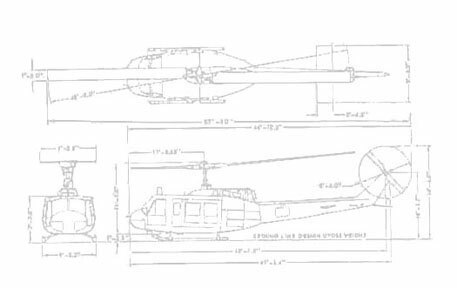 At approximately 2000 hours on 8 June 1966, the 129th Assault Helicopter Company, at that time located in Tuy Hoa, Republic of Vietnam was ordered to Dak To, Republic of Vietnam to close NLT 091800 June 1966. The mission of the 129th was to support the First "Brigade, 101st Airborne Division with the additional mission of providing the necessary aircraft to insert and extract the Special Forces/CIDG Apache teams in the Dak To area. The 129th Assault Helicopter Company closed into new Dak To airstrip with one airlift platoon and one armed helicopter platoon at 091745 June 1966. At this particular time the situation and deployment of the ground forces had expanded to the point that there was no base or airfield security in the area assigned to the 129th. Since all available ground forces had been fed into the pitched battle of Operation Hawthorne, the 129th found it necessary to establish a perimeter outside the Special Forces Camp perimeter at new Dak To. The company immediately deployed its assents on the ground as infantry. Aircraft were dispersed and a perimeter established and manned by officers and enlisted men alike. The armed helicopters were implaced on the perimeter taking advantage of available field of fire and the ermaments system mounted on the aircraft. The door guns of the airlift platoon were then emplaced on the perimeter to fill in the gaps left by the armed helicopters. The first night proved to be uneventful and a reconnaissance was conducted during the early morning of 10 June to select a wore tenable area for this company to occupy, An area was selected adjacent to the MACV compound and the 129th relocated at 1000 hours on 10 June 1966. Again it was necessary to establish a perimeter to be manned by officers and enlisted men. At this point morale was extremely high and remained so throughout this operation, as always. Immediately upon relocation the 129th was called on to augment the 117th and 48th Assault Helicopter Company in support of Operation Hawthorne. The days that followed proved to be quite eventful as aircraft commitments were extremely heavy and airlift support was necessary from early morning hours until after darkness each day. In an effort to increase intelligence gathering resources the 129th AHC was committed on or about 12 June to insert a CIDG force to evaluate enemy activity along known routes of infiltration near the Dak Sut area. Although the weather had deteriorated to near zero-zero in most areas and improved only to 1/4 mile visibility with a ceiling of 100 feet or less in the entire local area it deemed vital that this force be emplaced. Adding to the weather hazards was the fact that this team would have to be positioned on the ground at last light and in a known enemy controlled area. Security restriction had prevented this unit from making the desired reconnaissance of its point of insertion, thus another limitation was imposed. The mission commenced as briefed and the flight commanded by Major Richard Cline proceeded to its destination. Due to the poor weather and the necessity of inserting these personnel without being detected, the entire route was flown at tree top level without lights. Deceptive measures were employed by feinting into several landing zones and the team was inserted at last light at the briefed LZ. At this time the flight then pulled out to a safe distance from the team to again confuse the enemy as to the LZ location. After approximately 15 minutes the Apache Team radioed that it was in position and had not been detected and the flight proceeded back to Dak To. Two days later a call was received in the 129th Operation that this team was heavily engaged and unable to break contact. An immediate extraction would be necessary and the pick up point could not be selected since the enemy was in pursuit of the team. The flight was airborne within minutes and upon reaching the area of extraction it was learned that there was no pick up area large enough even for a single helicopter. The Apache Team immediately began hacking a pick up zone from the jungle and as this was taking place the gun platoon leader provided cover and supportive fire for the hard pushed and desperate ground elements. The armed helicopters repeatedly struck the areas around the team's position with rockets, 40mm grenades, and machine gun fire until the enemy pursuit was broken. It was then decided to attempt the extraction even though the LZ preparation was not complete. The pick up was made from the extremely confined one aircraft LZ with aircraft separation of only 20 to 30 seconds. The take off path was dictated by the barriers surrounding the PZ and required a take off leg directly over enemy positions. Again the Cobra Guns displayed their tenacious capabilities and layed rocket fire and grenades directly under the lift aircraft as they departed the PZ. The team work by Captain Wilson's Cobra Guns and Major Cline's lift aircraft was effective in extracting every team member and reducing the enemy pressure to a complete silence with not one friendly casualty. The Cobra platoon again distinguished itself later in June in an area ten miles Southwest of Dak Pek, while supporting two lift ships resupplying an outpost an enemy force of unknown size began delivering deadly accurate fire on the resupply ships and the outpost as well. The outpost could offer little assistance in pin pointing the enemy so Captain McCracken, who was leading his section of guns, proceeded to use his own method of finding the enemy. This proved to be difficult, however, Captain McCracken resorted to searching out this enemy by flying at extremely low altitudes until they were detected. To perform his mission of protecting the airlift ships Captain McCracken voluntarily exposed himself flying low level and when the enemy was located he then directed repeated gun ship strikes using rockets and maching guns to eventually reduce the enemy threat. Every enemy weapon was silenced and the resupply mission was completed and the outpost was relieved of the enemy pressure. On 13 June Captain McLaughlin prevented what might have been an otherwise disastrous event while escorting a convoy on Highway 14 just South of Dak To. When the convoy commander reported receiving fire from his flank at a range of less than 200 meters Captain McLaughlin immediately engaged an enemy force of undetermined size as he advised the convoy to continue its move. He remained over his target and made multiple gun runs delivering deadly accurate fire until the enemy firing was silenced and the convoy had cleared the area. Captain McLaughlin was repeatedly praised over the radio by the ground commander for his fearless attack on this enemy position and as a result of his quick action the ground unit sustained no casualties. Most all of the Apache support was classified in nature an as such cannot be expounded upon. It is however worthy of note that this unit participate with a total of five crews in a highly classified mission and the details can only be documented in classified files. This mission was in the Dak To area and involved free world forces supported for the first time by United States Army Aviation assets. Only the aviators of the crews were briefed and since participation was strictly voluntary the personnel were not briefed until they accepted the mission. The members who were approached for this mission volunteered to the man and proceeded in the exceptional manner which has given the 10th Aviation Battalion its outstanding reputation. The company finally got back together as a unit in July. We also started the moving business again as we almost moved three times during the month. The first ? weeks were spent at Dak To and were relatively quiet. The first platoon and gun platoon accomplished the every day missions of the ground units, bringing them there ammo, equipment, chow and various other items. Numerous small combat assaults were conducted mostly on a platoon size level. The weather started to deteriorate as the monsoon season moved into the highlands. together as a whole unit again. On 20 July major Lavere Bindrup assumed command of the company. Major Bindrup was formerly in the 48th as the Gun Platoon Commander. Major Stearns went to the 17th Group as the Safety Officer. The 22nd found the company completely operational as it conducted two company sized CA's north west of Kontum. The weather was terrible and only one combat assault was completed, the second one canceled because of weather. CWO's Hoot Gibson and Ralph Schoelkoph had engine failure in there gun ship, but landed it in the jungle with only incidental damage. The weather continued to get worse as the monsoon moved into the area. The rains care more often and visibility and coilings dropped. Flying became extremely hazardous and the aviators had to resort to low level flying to accomplish their missions. On the 30th of July the company received word to move on the 1st of August to Tuy Hoa. We broke camp and had everything loaded and palletized by the 31st ready for the move on the 1st as the month ended. As the month of August commenced it appeared that we would move from the rain and mud of Plieku to the dry sands of Tuy Hoa. Such was not the case, when the first lift arrived at Tuy Hoa they were again ordered to return. The unit was kept at Plieku when tile 3rd Brigade, 25th Infantry became heavily engaged during operation Paul Revere. Unfortunately our mess hall and part of our maintenance support had already been flown to Tuy Hoa. As a result we ate "C's" for 5 days till they returned. The monsoon season was now in the highlands and weather was bad. Missions couldn't get started until about noon when the fog lifted. As a result we often flew into the night accomplishing our missions. All the flying was at low level and aviators did a tremendous job in navigation. On the 6th of August, the company received a warning order to move to Tuy Hoa on the 7th for a period of 3 days. We sent 14 Deltas and 5 Bravos which landed and were operational at 1500 on the 7th. Since it was for only 3 days two GP large tents were brought, one for officers and one for enlisted men. Unfortunately we remained at Tuy Hoa for 3 weeks. It was a little "Close" after 3 weeks with 33 men packed into one GP large. We were in support of the 101st again who were conducting operation John Paul Jones. We flew several combat assaults as soon as we arrived with no unusual happenings. On the 10th we were sent to Phu Tai to augment the 14th Bn in support of the 22nd ARVN Division who were exploiting an Arc Light Strike North West of Qui Nhon. We left the morning of the 10th at 0400 and spent the day there. Upon arrival back at Tuy Hoa we were notified that we would depart for Plieku on the 11th, at approximately 1200 hours. Again the move was canceled. By this time it was old hat and no one even got excited. We commenced to extract some of the elements of the 101st about the 15th and it looked as if we might move again. However we were told to start bringing, our remaining, equipment down from Plieku as we would be staying at Tuy Hoa. Fortunately we were heavily committed and didn't get much of a chance to move personal belongings from Plieku to Tuy Hoa because we were ordered to move ASAP to Plieku at 1600 hours the 19th of August. We spent the 20th getting camp set up in the rain. It was a sorry mess as both officers and enlisted men tried to fill sand bags with mud in a driving rain. Nothing would get dry and the water flowed through the tents like a river. The Cobras built a new shower that featured hot water in the form of an emersion heater in the tank. The Dodge house was built by Captain Steve Dodge and at least it kept the toilet parer dry! Many improvements were made by the officers and men of the company in spite of the conditions we were living in. The remainder of the month was spent flying missions with the 52nd Battalion. Most of the time we flew normal resupply and administrative missions. The weather was still a problem. Captain Howard Stiles joined the unit as the new operations officer. Everyone was getting close to DEROS who came over with the company. All the aviators who had came from the 1st Cav left. They had some trouble getting orders but all left on time. The beginning of September found the company still at Tuy Hoa, but there would be many a move made before the month was over. On the first day of the month six new aviators, fresh out of flight school reported for duty and were heartily welcomed with cries of "short" from the many aviators who were due to rotate at the end of five days of combat assaults, maximum effort support missions and emergency resupply missions. During this time two aircraft received hits from automatic weapons fire, but no one was injured. because of bad weather. During this period the company also flew normal support missions. Now things started happening fast and furious. On the 9th we were alerted for a move to Tuy Hoa. In the 10th five ships from the 1st platoon and two gun ships were sent to Nha Trang in support of the 5th Special Forces Group. On the 11th the company minus broke camp for another Sunday move. We arrived in Tuy Hoa at 1630 and put up camp. Meanwhile, back at Nha Trang, our element there was supporting the Long Range Reconnaissance Patrol training school of the 5th Special Forces Group. This consisted of ten days of first light and last light LRRP team insertions and extractions and can only be generally described as "hairy". On 15 September the remainder of the company from Tuy Hoa joined the 1st platoon at Nha Trang for a maximum effort lift of over 200 Montagnard villagers who walked 50 miles to a LRPP team they saw inserted and asked to be resettled. This extraction was made from a one ship landing zone which was oil top of a 5000 foot high, fog shrouded mountain. More "hairy" and "scary" experiences, but it was a real professional job. That part of the company which came to Nha Trang for the mountain top extraction returned to Tuy Hoa on the 21st and resumed normal support activities. We received four aviators from the 4th Infantry Division on the 23rd. We were to train them for a few weeks since their company was new in the country. Also received two aviators from the 14th Battalion for our very own. Would you believe another move! Five miles south on the beach at Tuy Hoa to make room for the construction of a jet runway. The rest of the month was spent flying normal Battalion missions and improving the new company area. The month ended on somewhat of a sad note however. The 1st platoon returned from Nha Trang on the 30th (they really liked it there), and PFC Joiner was shot in the neck on a mission. He was evacuated to the States and made satisfactory recovery. Also the end of September saw the departure of twenty five aviators and forty crew chiefs and mechanics. This left the company with only fourteen aviators and sadly understrength in the maintenance department. It also hinted of the many 150 hour flying time months that were to come in the next five months. The month of October saw the 129th remain at Tuy Hoa all month much to the disbelief of the entire company. During this time we were used almost entirely in support of the 1st Battalion, 327th Infantry, 2nd Battalion, 502nd Infantry and 2nd Battalion, 320th Artillery which made up the 1st Brigade of the 101st Airborne Division. We supported them in operations John Paul Jones and Geronimo. The company also received a number of badly needed aviators, crew chiefs and mechanics and staged two night combat assaults. On the first day of the month we had a company sized mission at Ban Me Thout in support of the Special Forces, It was a very smooth mission. Also, Captain Pratt joined the company and assumed command of the service platoon. The next few days were spent flying the normal type Battalion missions and Eagle flights for the 101st. There was no significant action during this time. We flew a combat assault for the 2/327 on 7 October and it was a very smooth operation. However, upon our return to base camp at Tuy Hoa the company was shocked and saddened to hear that four of our comrades had been killed that afternoon. A gun ship was shot down on an independent mission between Dong Ba Thin and Phan Rang while engaging an enemy .50 caliber machine gun which had a friendly unit pinned down with its deadly fire. Killed were Captain Whetzel, WO Chamberlain, SP/5 Gilliam and PFC Neal. They truly exemplified the fighting spirit of the 129th Assault Helicopter Company by engaging in a deed above and beyond the call of duty while giving their all to support the ground troops. On the 10th of October we extracted the 2/327 from the field in another professionally smooth operation in which the company heli lifted 550 troops. The 11th saw our call sighs changed for the third time this month. The 13th brought four wore aviators to us and things were looking brighter. Also we conducted a combat assault with the 2/502. On the 14th we received a warning order to move back to Plieku but amidst groans of "that, move again"? the warning order was canceled and calm returned to the 129th. Through 21 October the company flew normal Battalion type missions and happily welcomed five more aviators into the fold. Major Merritt joined us in the field for a few days and we even sent four pilots to Plieku to help out the 117th. Also an Instructor Pilot program was initiated which proved to be very successful. Despite terrible weather conditions the company staged a combat assault on 22 October, again with the 2/502 and it was a great success. Due to the extremely bad weather, the assault caught the enemy napping and the 2/502 enjoyed a field day with the enemy which resulted in a number of KIA's and many prisoners and captured weapons and supplies. All during the month, utilizing every spare moment, the company worked on beautifying the new company area. By the last week of the month it was complete with walkways, officers and enlisted latrines and showers with hot water, a movie area with large screen, volley ball court and EM, NCO, and officers clubs. The officers club became known as the swingingest place between Nha Trang and Qui Nhon and was frequented by the 10th Aviation Battalion Staff, other companies in the 10th Battalion and the 101st and 4th Infantry Division. On 26 October the command of the 129th passed from Major Bindrup to Major Merritt. During the ceremony Major Bindrup received a Distinguished Flying Cross and Colonel Harrison, the Battalion Commander, passed the command to Major Merritt. Afterwards, a fantastic party was at the Officers Club to which all were invited. It brought even more renown to the clubs reputation. into me area and feinted into two others. The next night 7 D's and 3 BIB took off at 1835 to insert the Pathfinders and their security force. At 2230 12 Deltas and 3 Bravos took off and flew two sorties each into three different landing areas. With the help of the 48th Aviation Company we heli-lifted two entire battalions of the 101st in a highly successful night operation which kicked off Operation Geronimo I. The assault was preceded by a Tac Air Strike and, gun ship pre-strikes. There were no flare ships used, the troop lift helicopters landing to the Pathfinders flashlights. We were joined on the night assault by Colonel Marr, the 17th Aviation Group Commanding Officer who had only words of praise for the 129th at the missions conclusion. November was highlighted by the arrival of the 1st Brigade of the 4th Infantry Division at their new base camp at Tuy Hoa. This meant that the 129th would be supporting the 101st, the 4th Infantry Division and also the 9th ROK Division. It locked like a busy month ahead and it was. However, we continued to receive new aviators, eight to be exact, and this took some of the load off the "Old Timers" who had been in country two to five months. On 3 November the third platoon gave rides and a class to troopers of the 2/502. Afterwards there was an open discussion of the best means of employing helicopters, helicopter tactics and their capabilities. There was a good exchange of information and knowledge and all benefited from these classes greatly. In officer of the 129th went to an orphanage in Tuy Hoa on 4 November and distributed candy and soap to the children. It was received with much joy and this brought a good feeling to the company. The 5th was to be the day of another big night combat assault, but on the first lift at 1830 the mission was canceled due to bad weather. The next day the company was up at 0430 for a 0535 crank time. We participated in moving the entire 1st Brigade of the 101st Airborne Division and logged 139 hours and carried over 800 troops. We finished off the operation in grand style with a night combat assault and had a total of seven combat assaults for the day. The 8th was another busy day as the first platoon had an extraction of the 1/8 Infantry of the 4th Division while the second platoon had a SRPP insertion. Later the entire company staged out of Dong Tre for these combat assaults with tile 1/8. The second platoon pitched tents at Dong Tre and remained there as a reaction force for both the 4th Division and the 101st. On 10 November while on a CS gas mission that was being flown in conjunction with a jet air strike, a CS bomb canister exploded in Lt. Sexauers's ship. Lt. Sexauer executed an autorotation and did an outstanding Job which resulted in the saving of seven lives. The first platoon received the second platoon of their reaction force standby on 11 November and the next day began a rash of aircraft crashes and aircraft receiving hits from enemy fire. On the 12th 745 received a hole in the tail rotor drive shaft while on a extraction for the 4th Division. The aircraft sustained only minor damage and was quickly repaired. Two days later 673 took a hit in the bottom of the aircraft, the bullet finally being stopped by the bottom of the aircraft commanders armored seat. There were two combat assaults flown on the 15th, one from Dong Tre and the other from Tuy Hoa and the 1st platoon returned from Dong Tre as the reaction force mission was terminated. The next day 672 crashed while trying to get into the 2/502 TAC CP and minor injuries were sustained by the crew. A crew from the service platoon sent out to recover the aircraft spent the night in the boonies because of bad weather, a rather hairy experience when one doesn't know the enemies exact where abouts. Then on the 17th during a combat assault with the 1/3 in extremely bad weather 530 lost its 90 degree gear box and crashed in the landing zone. Again, no one was hurt. Finally 672 was destroyed and the service platoon crew happily returned. The company flew 110 hours. The next day 842 received one round in the ammo box while on a combat assault for the 101st and one passenger was wounded. On the 20th the company flew a combat assault with the 3/12 of the 4th Division and on the 22nd there were combat assaults flown with the 1/8 and the 3/8 of the 4th Division. The 23rd saw plans being made for the erection of a bigger and better 129th Officers Club to handle the now overflowing, crowds arriving for rest and relaxation each night. Thanksgiving Day was a tremendous success with a fabulous meal of turkey and all the trimmings. It was a big moral booster for all. The next two days were spent flying combat assaults for the 9th ROK Division in terrible weather. All went well considering the poor conditions. The remainder of the month was spent flying normal battalion missions. Thing's were quiet, too quiet. The 129th felt that there was something in store for them in the month ahead. Something like a move. The month of December proved to be a fairly quiet one with the Xmas and New Years truce. We were committed quite heavily at times and managed to conduct a few more night CA's. We were destined to leave Tuy Hoa after being there the longest time in one place for the unit. The first day of Dec started out badly when the engine on Bulldog 842 failed and it crashed into trees. CWO Figueroa and Major Rockney were flying. Hobody was hurt but the aircraft was destroyed. The crew was involved in a platoon CA when the accident occurred. The following day we flew over 100 hours in bad weather as the monsoon continued to pound the Tuy Hoa Valley. We started bringing the 101st out of the field as we received a warning order to move to Kon Tum on or about the 5th of December. We continued to extract the 101st from the field and on the 5th we moved to Kon Tum. We were located right next to the runway in a brushy area so much work had to be done before the area was livable. We were given two days to set up camp and the put them to full use. By the time tie commensed operations on the 8th we had everything completed, from shower to mess hall. On the 9th of December we put the 101st into the field west of Polie Kleng. It was a busy day as we flew with the 117th. Weather was beautiful, especially after the monsoon of Tuy Hoa. W0 Wells ran out of fuel on a mission and made a perfect autorotation. Major Otto also lost an engine and made an autorotation with only indicent damage to the aircraft. It was a long day for the crews. Operation Pickett had started. On the 11th of December it was decided that the company would reorganize into 5 platoons. A 3rd lift platoon was created giving the company 3 lift platoons, 1 armed platoon and the service platoon. The third platoon became known as the 3rd Herd. The next few days were spent supporting the 101st and conducting combat assaults with the ARVNS. When we were not conducting operations we were in standby as a reaction force. The terrain was rather bad in the area, and turbulence was moderate. As a result it was hard to conduct operations in certain areas during different times of the day. We accomplished all our missions in spite of these hardships though. On the 19th of Dec we received 13 new WO's. A grand ceremony was held and everybody given a chance to drink a "green gasses". A good time was had by all and the new aviators were welcomed into the company. With these additions we were up to TO&E strength as far as aviators were concerned and most of the old timers were able to take a well deserved rest. We started extracting the 101st from the field on the 22nd of Dec so they could celebrate Xmas at Kon Tum during the cease fire. It was a long 2 days, but by the evening of the 24th we had brought everybody in from the field. Bulldog 673 with W0 Doherty and WO Ferguson at the controls had a engine failure and crashed on final during an extraction. No troops aboard, but WO Doherty and Ferguson were banged up a little, but returned to duty in a few days. They made good use of the URC-10 emergency radio, with which we located them. Christmas Eve was very quiet around the camp as everybody opened packages from home and relaxed. Xmas day we hosted the nurses and doctors from Doctor Smith's hospital in Kom Tum. As usual the mess hall outdid themselves and provided an outstanding meal. Everybody enjoyed a relaxing day with good food and quiet relaxation. The only missions we had were hot chow runs to the perimeter defenses which vie were more than glad to do. The Xmas truce ended with a night combat assault as the holidays came to an end. Everything went very well as we performed another Bite & Strike special. The rest of the month was spent supporting the 101st in the field up until the New Years truce.